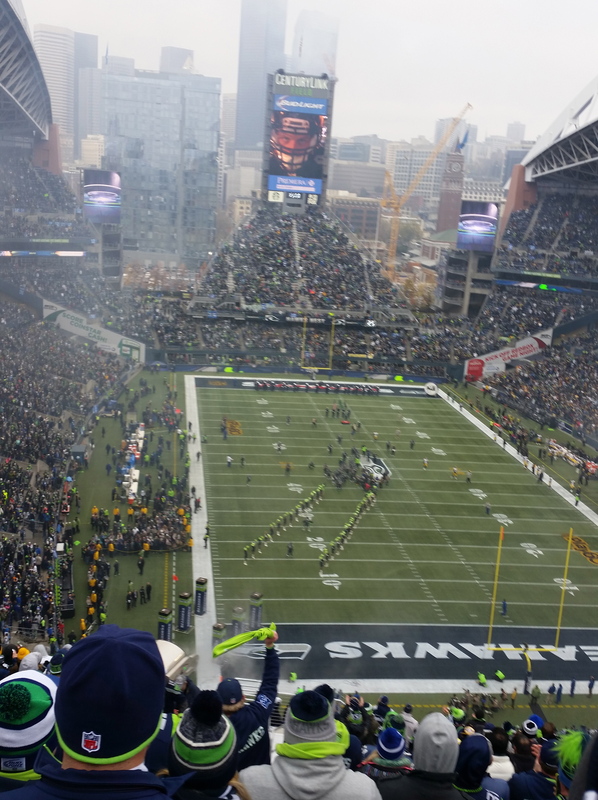 A recent trip to Seattle and the experience of being among the ‘12s’, the fanatical following of the NFL’s Seattle Seahawks, got Tom Simmonds ruminating on fan experiences at English football clubs. Here, he argues US sports franchises are better at boosting a fan’s emotional connection to their team. One of English football’s major selling points in the eyes of foreign broadcasters is that the grounds are, by and large, full and that some level of crowd noise can be trusted to rear its head at given points of any game. This is miraculous for a number of reasons. All-seater stadia’s surveillance-by-stealth ticketing, which does a great deal to stop like-minded supporters who might want to sing and congregate together, is one reason. Another is that fans of a lot of English clubs are, on the whole, seen as a captive and largely passive group by those in the boardrooms and catered to accordingly in the knowledge that some mild grizzling will be all they get in the way of dissent most of the time. The subtle ways in which the Seahawks manipulate fans’ emotional connection with their team is far more intelligent than anything I have seen from an English club. For example, a lot of rhetoric about fans being the ‘12th man’ on the pitch is used as a stock phrase to fill managers’ programme notes and soft-soaping press releases, then leave it at that. The words, while doubtless sincerely meant in a lot of cases, are repeated so often they cease to have any meaning to anybody who hears them. The Seahawks take this to an altogether different level – one way in which English football clubs are failing to fully cash in on supporter loyalty now is that they don’t realise how big the cult of the crowd can be. One of the Seahawks’ retired shirt numbers is the number 12, in order that the Seahawks can sell shirts bearing this number with the word ‘FAN’ embossed on the back. These sell in great numbers in the city, and other smaller pieces of branded merchandise with the number 12 are ubiquitous about people and their property in the city. As hard-nosed and transparent a marketing strategy as this might seem to English eyes, what is unquestionable is that it works in Seattle; and that there is also an inclusive element to it. Match-going and non-match-going Seahawks fans alike (there are plenty of the latter; the prices are not cheap. NFL teams only play eight home games in the regular season and charge accordingly) genuinely feel part of the club and take huge pride in the ambassadorial role the club has for the city. The Seahawks crowd is also as loud as popular myth would have it. The noise the 12s make on crucial plays is louder and more sustained than anything I have ever heard at an English football ground. Given that two of Seattle’s main exports are jet engines and grunge music, it probably shouldn’t surprise anybody that Seahawks fans should see loud noise as a weapon. But the way in which the support base has embraced the marketisation of this element of their identity without cynicism suggests that they feel they are getting something fulfilling in return for it. I would sense that this would not go down as well in England, given that there is a precedent of tacky attempts by English clubs (for example, West Ham’s “Moore than just a football club” merchandise launched in the mid-2000s) to pursue this kind of venture. The English football fan, long used to being treated as a dispensable cash cow by their clubs, would likely view a group of marketing executives trying to aggressively monetise their heritage as a contemptuous gesture. Which English football grounds do you think offer the best fan experiences? Do you think that English clubs have a lot to learn from other sports? Read more from Tom here !